Cooking breakfast on our grandma’s circular cast iron griddle was a serious affair at our house. Since ours was a fairly large family with each person having different preferences on what to eat, there were always so many options on the table. Some people would pick out the fluffy pancakes and load them up with fruits and syrup. Others preferred having eggs and sausages with a side of hash browns. On special days, we also got French toasts with fruits tucked in. And the most amazing thing was, all these foods were cooked in just one pan. Our grandma’s round cast iron griddle was a workhorse in the kitchen. As each of us grew older and, one by one, started to leave home, that trusty cast-iron cookware was used less and less. It became more convenient to order food instead of cooking, so it had to be relegated to the shelf by the stove. Fast forward many years and I now have a huge family of my own. We have rediscovered the beauty of preparing and eating breakfast together. The hunt for the perfect cast-iron cookware was set because I knew first-hand how amazing food cooked on a cast-iron surface could be. I have tried several types of cooking surfaces and discovered that the round cast iron griddle worked best for me. Here are my thoughts on four brands of round cast iron griddle available online. This review will help you choose one for your own kitchen. 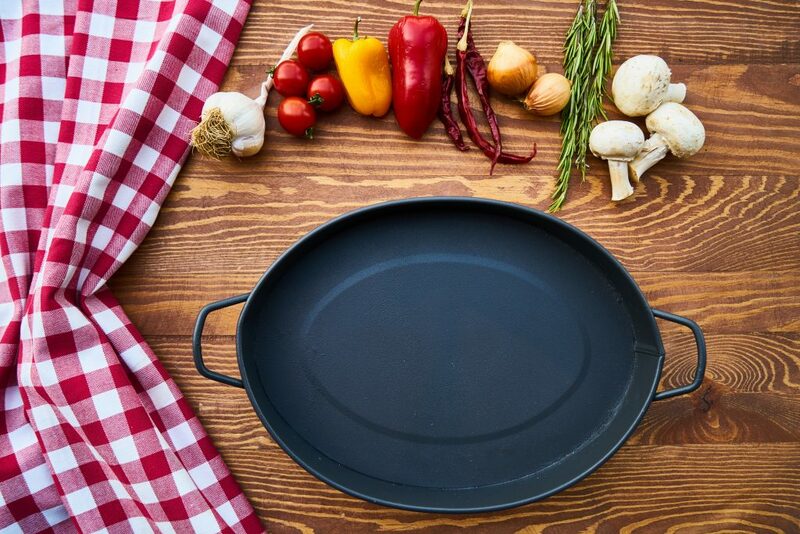 Why Choose A Cast-Iron Round Griddle Over Other Materials Of Cookware? 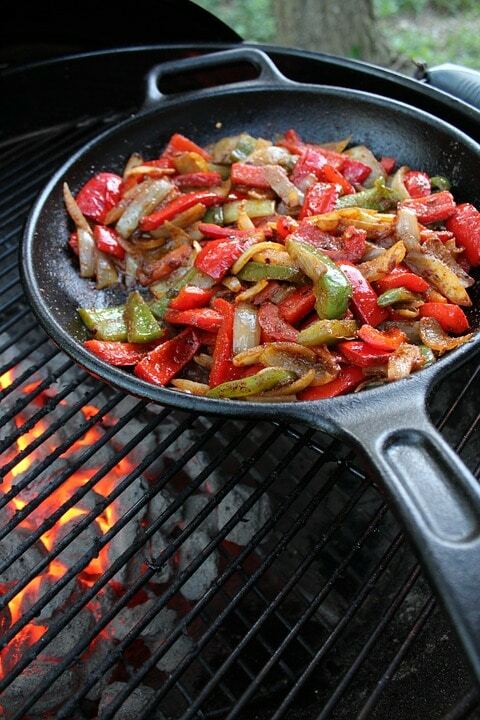 There is no denying the versatility of a well-seasoned cast-iron cookware. You can use it for frying crunchy fries, sautéing vegetables, searing steaks, and even baking cornbread. But what makes the circular cast iron griddle better than an aluminum pan or a stainless-steel skillet is that it is highly durable. It is meant to last for years and years. Cast iron can take more abuse because it is hardy. It can be banged and dropped and it wouldn’t dent. You can actually damage the tiles on your kitchen floor worse than you can your cast-iron pan if you drop it. You cannot expect that from any other type of cookware. Plus, the non-stick surface of other pans, even the Teflon-covered ones have the tendency to wear off. 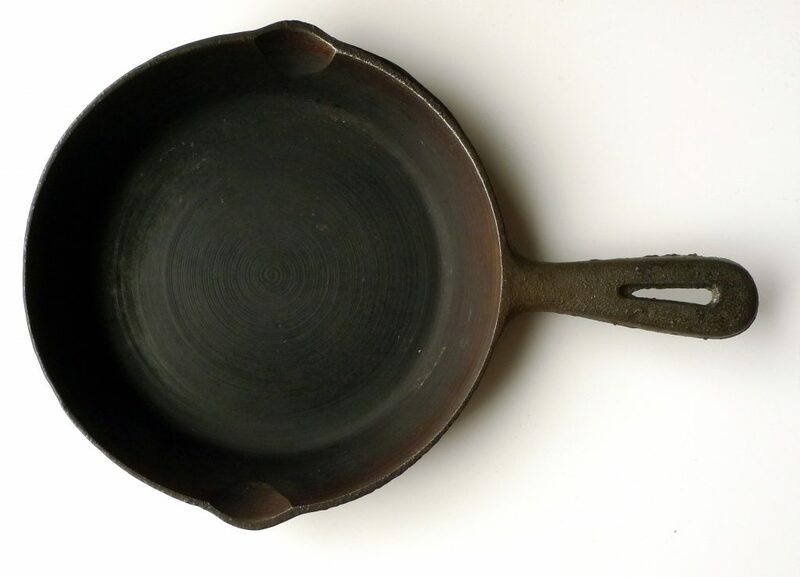 The non-stick properties of a cast-iron pan come from its seasoning. It shouldn’t chip or wear off unless you wash it wrong. And if you strip the seasoning by accident or through carelessness, you can always re-season your pan. You cannot reapply a non-stick coating on your other pots and pans. Finally, some non-stick chemicals cause the pans to emit toxic smelling fumes when overheated. This is not something that you need to worry about when using cast-iron cookware. Now let us see the features of four models of the most well-liked round cast iron griddle with handle online. The first non-stick round cast-iron griddle that I got to try out was the Victoria Cast Iron Comal Griddle. I have to admit that I needed to look up what Comal meant. It refers to a smooth, flat griddle that is used in Mexico and some part of Central and South America. The size of this cast-iron cookware is just right for our household. It is big enough that you can cook several links of sausages at a time. 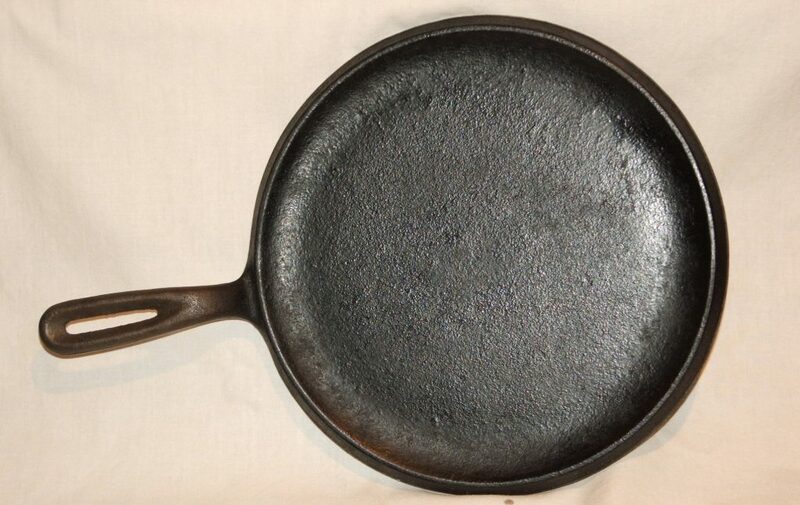 This cast iron flat pan can also be used to make giant pancakes by filling almost the entire surface with batter. You can also heat up tortilla and make flatbreads in this versatile pan. This can be used on a gas stove. It is not the best for even heat distribution but it can store up that thermal energy gradually and pack a searing punch. If you plan on cooking steaks on this griddle, you would be amazed at how juicy your steak will stay. It can also be used on induction and electric stoves. You can bring it with you on your camping trip and use it over your campfire. The cooking surface is a little sloped. The manufacturer explained that it was designed that way so it would be easier to slide the food off the surface. I find the sloped surface a little off-putting because you won’t be able to cook two or more servings of food that goes in liquid. If you plan on making two small pancakes instead of one giant one, the sloping surface makes it almost impossible. However, the design does make it easy for you to transfer what you’ve cooked onto a serving dish. The omelet literally slides off the griddle once it is done cooking. It has a curved handle that is larger than the usual size. This is great because the cast-iron griddle is on the heavy side, being able to grasp the cookware with two hands, using an oven mitt or a pot holder, of course, is very convenient. Like most cast-iron cookware sold nowadays, the Victoria Cast-Iron Comal Griddle gets delivered pre-seasoned. The manufacturer uses non-GMO flaxseed oil to build the base seasoning and baked it at high temperature to make sure that it stays on. Many commented on how good the non-stick quality of this griddle is. This is a plus because others tend to be a little rough and the surface breaks the delicate crepes when you move them around. You just need to give it a quick wash with mild soap and water. Heat it on the stove until all the moisture has evaporated. Then you can hang the pan on a sturdy hook or place it in a shelf in your kitchen. It is good enough for its price. Although it is a little on the small side, the quality of material used by Victoria and the craftsmanship of the griddle is worth the price. It also comes with a lifetime warranty so you may be using that item for the rest of your life. Manufactured by one of the most popular brands of cast-iron cookware, the Lodge cast-iron round griddle has received more than 3,800 reviews to date, a huge chunk gave it 5 stars. Why is this particular griddle so popular? The craftsmanship of Lodge is unparalleled. They have been making cast-iron cookware for many, many years now (over a hundred years!) and it shows in their product. The round griddle is hefty and feels like a legitimate, heavy-duty, cast-iron product. Most people who have left their reviews on Amazon state that they have owned and have been happily using their Lodge cast-iron round griddle everyday for over two years or more. That is testament to how well-made this product is. The griddle measures 10.5 inches in diameter. This means the cooking surface is much smaller than many grill/griddle combo plates but it is big enough to cook 6 eggs simultaneously in. The cooking surface is flat and has low side walls to keep the food in place. It is perfect for making breakfast frittatas. You can cook the eggs and other ingredients like mushrooms and ham on the stove and then finish it off in the oven. It is not meant for deep-frying so if you plan to cook fried chicken on this griddle, you will need to think again. It is great for stovetops, oven, and even campfire. A lot of people who bought this rave about how well the griddle distributes heat when they use it on their induction cooker. It heats up fast and retains heat well. If you want to fire a quick stir-fry, you can switch off your burner halfway through and still be able to fully cook your seafood, meats, and vegetables with the residual heat. Even as a round cast iron pancake griddle, it works satisfactorily. You can cook pancakes quickly. It comes pre-seasoned with vegetable oil. The manufacturer only uses natural oils. No chemicals or synthetic coating is ever applied on its surface. Some customers claim that to ensure no food sticking on their griddle, they still use a thin coat of cooking spray. Vegetable oils are not advisable as they have low smoke point. Many suggest lard or, if you really want to cook healthful, use either ghee or avocado oil. It is easy to clean and store. 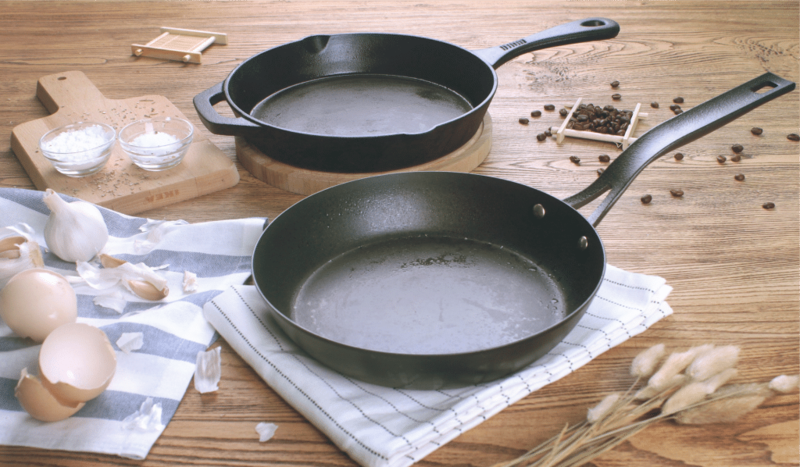 Just like any other cast-iron cookware, you can wash the Lodge cast iron round griddle with soap and water. Make sure that it is completely dry by heating it for a few minutes on the stove. You can hang it on a hook afterward. Just be careful with the hook. It has to be heavy-duty and secured well or else your circular cast iron griddle may fall off and make a huge dent on your floor or counter. There are several complaints about the griddle cracking during the first use. It could be a production defect or it could also be that the users heated the griddle too fast. 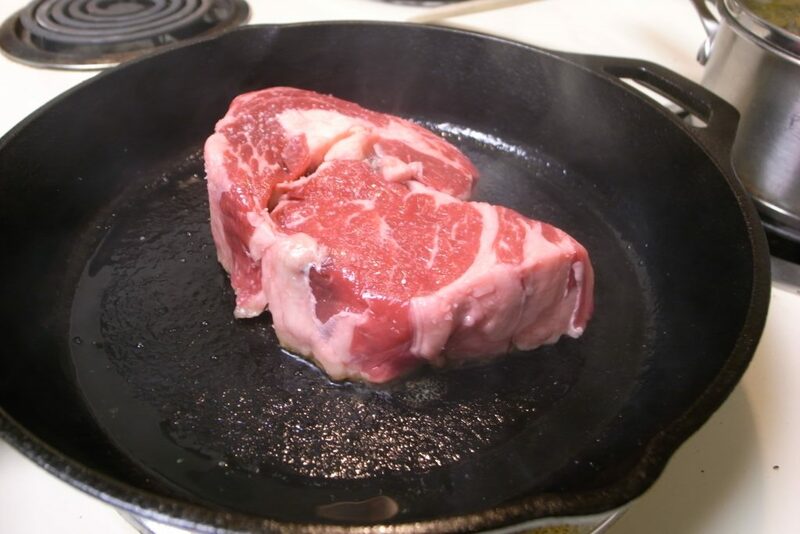 If you are going to cook with cast-iron cookware, it is advisable to apply heat gradually. The same way that it is not advisable to plunge your sizzling griddle in a pan of water. 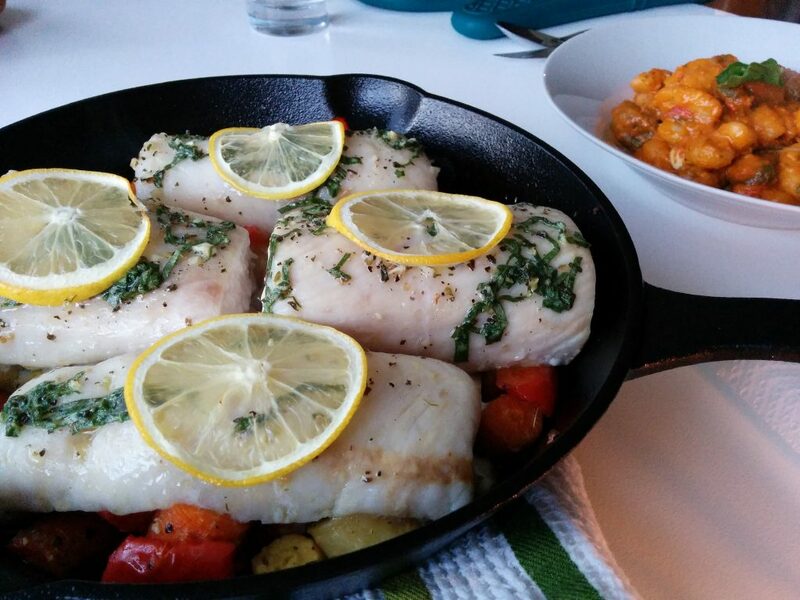 Price-wise, The Lodge cast iron flat pan may be the most economical purchase. It even comes with a lifetime warranty. Emeril Lagasse is a popular chef and restaurant proprietor. 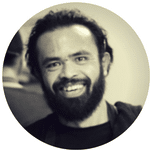 He is also a host of many food-related shows. If anybody knows what good cast-iron cookware is, he should probably be it. He came out with a line of cast-iron cookware manufactured for him by Bradshaw Intl. This 11-inch round griddle is part of that set. This griddle pan looks very similar to the Lodge round griddle. The only differences in appearance are that it has a bigger cooking area and the handle is bigger and thicker. The cooking surface is not very smooth so be careful when cooking delicate food items like crepes or sunny side up eggs. It is the biggest of the round griddles that we looked at today. It makes cooking for a medium to large sized family convenient. Even though it comes pre-seasoned, it is advisable to use a little bit of oil when you first cook on it. One review mentioned that the griddle was only seasoned on the cooking surface and not on the outside. This may be the reason why a lot of complaints were posted about the griddle rusting after only one use. You have to season all the sides (inside and outside) so that when you wash it with soap and water, the water will not penetrate and oxidize the surface. You also have to make sure that the griddle is completely dry before hanging it on a hook or storing it on a shelf. Even a tiny bit of moisture can be the cause for the griddle to rust. And once the surface has rusted, you’d either have to sand it off and re-season the entire thing or throw it away. The Emeril Lagasse round griddle is heavier than the other griddles we looked at. It is going to be heavier with a big chunk of steak is on it. Luckily, the handles are easy to grasp with two hands. You have to remember to use a pot holder for this as the handle gets as hot as the cooking area. There are some cast-iron pan handle sleeves for sale online and those would work perfectly with this griddle. Once you switch off the stove, the griddle still retains heat for a long time. What you can do to make the cook more economical is to cook the food halfway through and just allow the residual heat to finish cooking the meal. You can even use that heat to keep the food warm until it is time to be served. A lot of complaints posted about this product refers to the griddle warping. It was either warped upon delivery or changed its shape after a few uses. This is disappointing given that the Emeril Lagasse griddle is the priciest of the four brands we looked at. That extra money may be because you are paying for the name of the celebrity endorser. 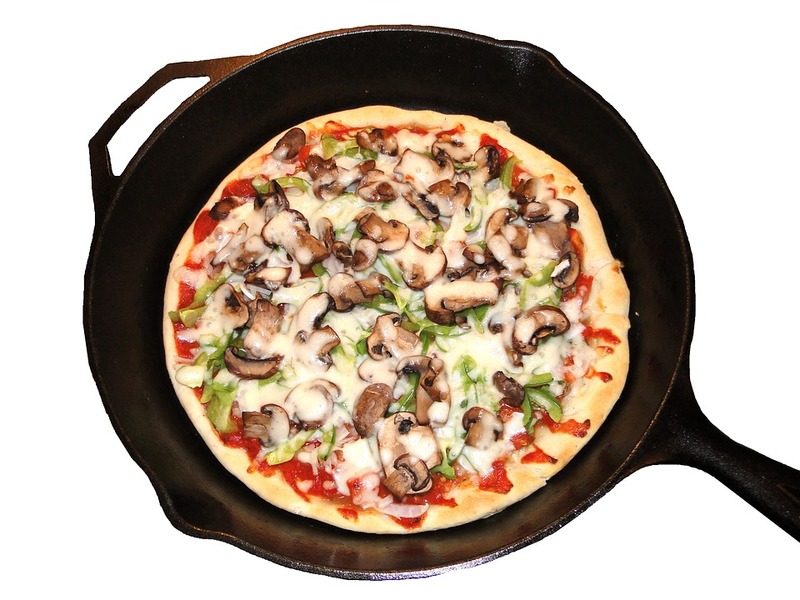 Of the four cast-iron pans, this is the only one touted for baking pizza primarily and cooking any other way secondarily. So, if you love making pizzas and are still using those metal baking sheets, this is going to be a worthy upgrade. It is very versatile for a pizza pan. You can use it for broiling, roasting, frying or grilling. Of course, the shallow pan limits the amount of food that you can pile up on the HC-5001 so there will be no vigorous stir-frying or deep-frying to be done on this cooking surface. It is perfect though for making pancakes, tortillas, or those giant chocolate cookies that you can only buy from specialty bakeries. This cast iron skillet comes pre-seasoned and it has received a lot of good reviews on its seasoning. The food doesn’t stick on the surface and it heats up pretty quickly and evenly. Some claim that they found the HC-5001 a much better cooking surface for making pizza than most pizza stones. Pizzas come out not doughy or soggy if it is baked here. The key is that it gains heat fast and retains heat longer. Although it is said to be rougher than most cast-iron griddles, this doesn’t seem to be an issue when it comes to cooking. Just be mindful when you are re-seasoning it though as you can tear a paper towel to shreds if you use this to apply the oil on the surface. The two handles on opposite sides makes it easier to maneuver. It is easier to lift than the others that came with one handle. This is good since the Home-Complete skillet is a good two pounds heavier than the other griddles we looked at. Don’t forget that the handle is just as hot as the cooking surface so be careful when you lift it out of the oven or off your stove. Some people who have bought this were a little wary using it on a glass-top stove. Drop this even from a short distance and it can cause some damage because it is heavy. Clean-up is super easy. The manufacturer says to use only hot water but a little mild detergent couldn’t hurt either. Just don’t put it in a dishwasher so you don’t soak it in liquid. Dry thoroughly by heating it over the stove. Here is a side-by-side comparison of the important features of each round cast iron griddle with handle. This might help you decide which one to get for your kitchen. Weight 4.55 lbs. 4.5 lbs. 5.23 lbs. 7.3 lbs. Conclusion – Which Griddle Should You Choose? Truth be told, you can buy any of the models of round cast iron griddle that we looked at today and you are going to be better off for it. All the griddles performed brilliantly. As long as you season them religiously, you will not see any problem with food sticking or surface rusting any time. They are all durable. You can use them on any stove, grill, or open fire. And most importantly, they are all priced reasonably. For the best value for money, it might be best to buy the Lodge Cast Iron Round Griddle. It is cheaper than the Victoria griddle and it is the lightest of the four by a small margin. Plus, backed by over a hundred years of experience, you can be assured that the manufacturer knows what it is doing. Very few complaints were lodged, pun intended, against the Lodge round griddle. This is amazing considering over three thousand individuals have posted their experience with using the griddle. So, if you want the fluffiest, most delicious pancake, get rid of your other pans and skillets and start using a round cast iron griddle today.